Includes a vast range of cast stainless steel canopy fittings, including deck fittings and hinged canopy clamps. All fittings in the Stainless Steel and Cast range are compatable with each other, but are not compatable with Standard Range or the Heavy Duty range canopy fittings. Standard canopy fittings comprise of a stainless steel plate covered with a Nylon moulding. The Standard range of canopy fittings is NOT compatable with other ranges. Heavy Duty Range (10) Heavier than the standard range of canopy fittings, only available for 1" fittings. The Heavy Duty Range is NOT compatible with any other ranges. 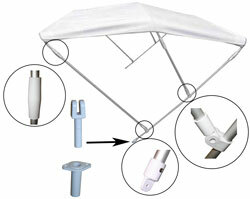 Universal Range (12) Universal range of canopy fitting parts that will fit all ranges of canopy fittings. 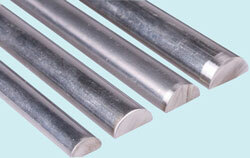 The category including poles, parrel beads, tube joining parts and other useful products. Canopy Track Systems (4) A range of canopy track systems, including all stainless, standard, heavy duty and the new innovative sleek track system. Keyhole range of canopy fittings, for quick release purposes. A range of cast hand rail fittings for 22-25mm tube, in 316 stainless steel. A range of 316 stainless steel tube suitable for canopy construction in 3 standard diameters, with tube forming tools and accessories. 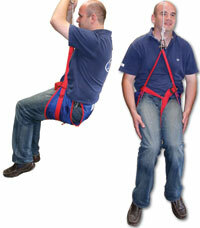 Baseline Marine Products Ltd, E1 Daedalus Park, Daedalus Drive, Lee-on-solent, PO13 9FX. Find us just off Junction 11 M27. Our trade counter is open 9:00am - 5:00pm Monday to Friday and 9:30am to 12:00pm Saturdays except Bank Holidays and over the Christmas holidays. All images, text & content © 2007 Copyright Baseline Marine Products Ltd. Company Registration No. 2421654. Established 1989.